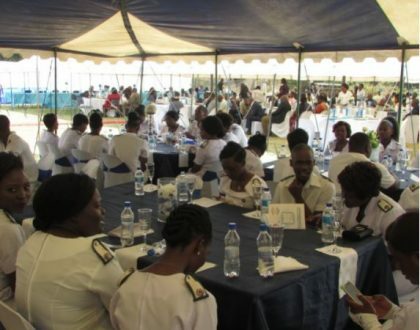 HWANGE WEEKLY NEWSLETTER – EMPLOYEE COMMUNICATION. The Government (major shareholder in Hwange Colliery Company Limited – HCCL) published in a Government Gazette (Extraordinary) on the 26th of October 2018 a reconstruction order for Hwange Colliery Company Limited under the Reconstruction of State-Indebted Insolvent Companies Act [Chapter 24:27] (No 27 of 2004). Mr Bekithemba Moyo, the co-founder and director of DBF Capital Partners was appointed to be the Administrator while Mutsa Mollie Jean Remba, Managing Partner of Dube, Manikai & Hwacha and Munashe Shava, Chief Operating Officer and Project Leader at Great Dyke Investments were appointed Assistant Administrators. Naturally and ordinarily, Hwange Colliery Company Limited employees and the surrounding communities, whose existence and livelihoods are affected by the company directly or indirectly in one way or the other, are bound to be left with many questions. There is also risk of misconceptions about the whole move and its intended outcome. 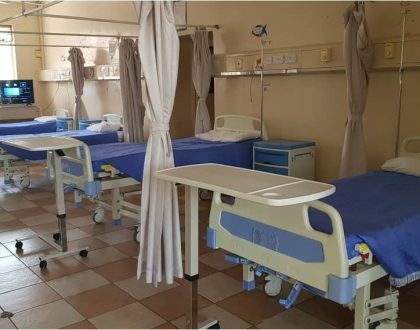 Hwange Weekly Newsletter (HWN) sought to get answers from the Administrator Mr Bekithemba Moyo (BM) to clear the air and demystify a number of grey areas that might need clarity. HWN: Thank you Mr Moyo for agreeing to have this engagement with Hwange News, a weekly online publication serving as the mouthpiece for Hwange Colliery Company Limited employees so that they are kept aware of pertinent developments within the organisation. Firstly, for the benefit of many, may you kindly highlight what “reconstruction” of a company means? BM: Reconstruction is a means created by Government in terms of the Reconstruction Act, to allow companies which owe many public funds and have been failing to repay them, to be run in a strict manner for a while by an Administrator (in this case myself), who will ultimately come up with a new business plan and model as well as repayment structure for the debts owed by the Company. All this is to stop the company from going into liquidation. The power is therefore derived from the fact that the company owes Government a lot of money. HWN: In this role, is your Administration team assuming all the functions usually carried by a Board of Directors? The Reconstruction Order also confirms, that the board stands dissolved. I therefore took over control and management of Hwange. HWN: As an Administration team, is there a specific time limit for you to prevail over HCCL’s reconstruction? And in case there is any, is there a leeway for extension if the Government or yourselves are not satisfied that the company is now back on a sound footing? BM: There is no set time limit to reconstruction in terms of the Reconstruction Act. However, our main focus is to give sound management to the company and a solid plan which will be implemented without any issue in years to come. The process of assessing and re-aligning the business processes and coming up with a business model does take time. For now, I can only assure you that we are working diligently and once a time line is in place, I will let you know. HWN: What is the fate of the Management and rest of staff following this move? Any changes to staff numbers, strategic thrust, mining operations, services provision, contractor engagements etc.? BM: For now, it is business as usual at Hwange. The current staff complement, and office bearers at Hwange retain their positions. Absolutely nothing changes. Already, production levels have increased in the underground mine, since we came on the ground to assess mining operations. Things can only continue to improve. I met with the Workers Committee representatives on Monday 5 November, and I assured them that, in seeking the best resuscitation model for Hwange, staff retention remains important to me, and options such as retrenchment would only be a last resort. We only expect more professionalism from contractors as well as strict adherence to contracts and company policies. We also expect more transparency in these matters. HWN: HCCL’s challenges have been well documented but the main challenge on the ground due to those issues has been low worker morale due to erratic payment of salaries and also the inconsistent pay-outs of the Scheme of Arrangement (SOA). Your coming on board in the eyes of many employees is a case of a “new broom sweeps clean”. Can the employees be assured that they can be remunerated on a monthly basis (both salary and SOA) given that there are “new captains on the ship? BM: Well we certainly hope to end up there! For now, employees’ salaries continue to be paid as they have been paid to date. The challenges at Hwange have culminated in lean finances. So it is a chicken and egg situation. We need to produce more, sell more and at better rates, bring in more revenues, and with this, we will not treat employees unfairly as regards remunerating them. It is a real task to get this sleeping giant off the ground, and in this regard we do rely on the support of every worker. Together as a team, however, we will get there. HWN: The issue of working capital has dogged the company for years but on the other hand the Government, as the major shareholder, is on record saying that the returns from numerous investments in the company are on clear. If you realise that there is a dire need for capital injection into the business, are you confident that some funding can be accessed for HCCL during the period of your Administration to turn around the fortunes? 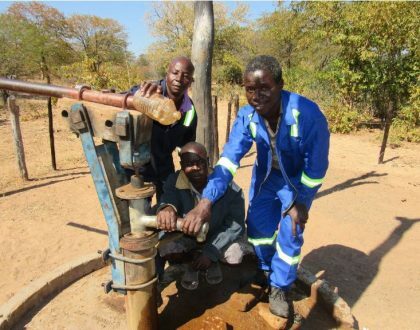 BM: Whilst it is true that Hwange’s financial position is precarious and additional funding will not be easy to raise, Hwange has a valuable resource which, if extracted profitably, I am convinced, will afford us innovative funding structures that will help in turning around the fortunes the Company. Therefore, we are starting on a sound footing, and we have a necessary component for capital raising and business resuscitation. HWN: Most employees (internal shareholders) are getting somehow anxious or confused over “reconstruction” and “judicial management”. What is the difference between the two and for HCCL, an insight why the company was placed under reconstruction and not judicial management like other companies/entities.? BM: The 2 emanate from different statutes. Reconstruction is done in terms of the Reconstruction Act, and is initiated by Government, because the company has vast debt owed to the Government. On the other hand, judicial management is in terms of the Companies Act and is a process initiated by the company itself. The focus is therefore on the nature of the debt. The processes that follow are also different, as, with Reconstruction, any persons who acted fraudulently or negligently in bringing the company to its indebted state, can be found as culpable. Finally, reconstruction will end in a scheme of reconstruction which will guide the company on a new business plan. HWN: It is an obvious fact that other shareholders will be following this development with keen interest, will there be any meetings or feedbacks to appraise them of developments or to get their buy in as they are also interested parties? BM: My task is set out in the Reconstruction Act. It does involve those stakeholders who are closer to the business side. The Minister responsible will however be engaging with the wider stakeholders in the town and community. Their role and importance is acknowledged, but in terms of propriety, it is for the Government to engage them at that level. HWN: How will the company employees be appraised of developments taking place under your Administration period? Are you going to do a meet the people roadshow. BM: Yes, and I intend to conduct regular interactions with employees. I will outline these as we go along. HWN: Reports in the media point out to the fact that HCCL has since been de-listed from the Zimbabwe Stock Exchange and Johannesburg Stock Exchange, what is the impact on HCCL’s reconstruction exercise? What measures will your Administration put in place to ensure the company is re-admitted at the two bourses at the earliest convenience from a business and corporate brand point of view? BM: Suspension is actually a normal consequence of administration and is necessary. Hwange is technically insolvent, meaning there is massive erosion of shareholder value. The Reconstruction Act recognises the need to suspend trade of shares until the company is profitable and no longer insolvent. This in section 6(d). I have engaged all the Exchanges where Hwange shares are listed, and when Hwange is exiting Administration, steps will be taken to uplift the suspension and enable trading once again. HWN: Last but not least, at the end of the “reconstruction” period, how will the company’s stakeholders be notified given that HCCL is a strategic entity in the nation’s economy. BM: The approval by creditors and the High Court of the scheme of reconstruction, as well as meeting the closing issues in the Act, will mark the end of reconstruction. Notification will be made in the media, and at all appropriate forums. This is still some way away however, and for now, it is business as usual. HWN: Thank you very much for your time Sir, it is really appreciated. The support from the entire HCCL family in this new dispensation within Hwange Colliery Company Limited is assured. It is our fervent hope that your input as an Administration team will help propel the organisation back to blue chip status of the past. BM: It is my pleasure, Rugare. The work ahead of us all has been set out. It is our hope that we Administrators will walk away at the end of Administration and leave behind a strong brand which speaks for itself from its product, operations and inspired workforce.